Sorry there are no shows for Grand Designs Live Birmingham right now. Grand Designs Live is based on the hugely successful Channel 4 TV series and is presented by design guru Kevin McCloud. The live show is organised by Media 10 and takes place at the NEC Birmingham and ExCeL London every year. Grand Designs is a registered trademark of FremantleMedia. Based on the television programme Grand Designs produced by Boundless (part of FremantleMedia UK) for Channel 4. 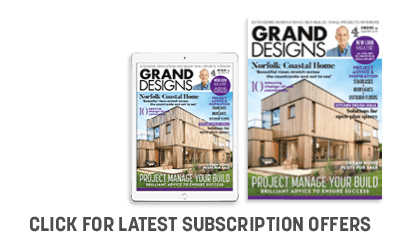 Grand Build: You'll find the latest developments in sustainability and eco-technology as well as some great ideas to maximise the space you have to make the most of light, storage and design. Grand Interiors: This hall can help transform your home. Plus it's a great opportunity to discover some unique products from individual designers and see hundreds of items that are not readily available on the high street. Grand Kitchens & Bathrooms: Discover cutting edge appliances, well known brands, expert advice and the sleekest designs for your home. Grand Gardens: Sponsored by Hydropool, will focus on all aspects that will help you make your garden an active part of your home. Grand Technology: Bringing together the top names in the industry to help you keep up to date with the latest trends and developments. Design Arcade: Invest in pieces from new and established craftsmen including artwork, decorative pieces and designer furniture.